Dubai’s residential rent decline is spreading to more locations and chances are this should continue well into the next year. But tenants should not be expecting a sharp decline similar to the one they saw back in 2009. This time out, the softening will stick to a narrow range. But for cash-strapped households, any relief on the rental side would be welcome. And where the decline does not match tenant expectations, they are likely to look elsewhere. The first cracks in the rental market appeared in the second-half of 2015, and more or less confined to the upscale neighbourhoods — the Jumeirah villas for one and on the Palm — of Dubai. And then through 2016, the declines became more apparent in Dubai Marina and the Downtown. This year, both freehold and the more traditional residential areas are seeing landlords feeling the pinch. Depending on an individual’s budget, Jumeirah Village and the Downtown are where he should be looking to get the maximum benefits from the drop. At the former, rents are down 7 per cent. As for the Downtown, lease rates are lower by around 6 per cent as “new developments in neighbouring areas were handed over and offered tenants more options”. For instance, the apartments at City Walk pulled in some of the demand and are “likely to gain more traction as the community reaches higher occupancy levels”. Keeping the rental market in a state of flux is the solid gain in new handovers. Deliveries during Q3-17 were “significantly higher” than in the second quarter, totalling 5,950 units compared to 3,500. 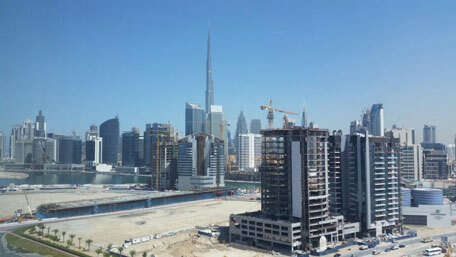 So, where does this leave the investor eyeing optimum yields from Dubai property? “Further yield compression is likely although fundamentals for such compressions significantly vary across market segments,” the report adds. “The bottom segment units are anticipated to suffer the most due to insufficient future tenant demand. stronger resilience in rentals in the mid-term. The buoyancy in the offplan selling space is double-edged. While it will be enticing for developers to keep launching more and mop up as many buyers out there as possible, it also raises concerns over a significant stock build-up. Any sudden shift in investor support for offplan would be detrimental to the longer term health of the market.